How extremism is going mainstream in Germany through clothing brands laced with racist and nationalist symbols The past decade has witnessed a steady increase in far right politics, social movements, and extremist violence in Europe. Scholars and policymakers have struggled to understand the causes and dynamics that have made the far right so appealing to so many people--in other words, that have made the extreme more mainstream. In this book, Cynthia Miller-Idriss examines how extremist ideologies have entered mainstream German culture through commercialized products and clothing laced with extremist, anti-Semitic, racist, and nationalist coded symbols and references. Drawing on a unique digital archive of thousands of historical and contemporary images, as well as scores of interviews with young people and their teachers in two German vocational schools with histories of extremist youth presence, Miller-Idriss shows how this commercialization is part of a radical transformation happening today in German far right youth subculture. She describes how these young people have gravitated away from the singular, hard-edged skinhead style in favor of sophisticated and fashionable commercial brands that deploy coded extremist symbols. Virtually indistinguishable in style from other popular clothing, the new brands desensitize far right consumers to extremist ideas and dehumanize victims. 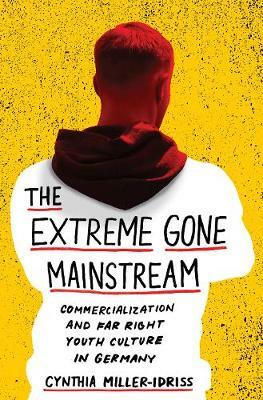 Required reading for anyone concerned about the global resurgence of the far right,The Extreme Gone Mainstream reveals how style and aesthetic representation serve as one gateway into extremist scenes and subcultures by helping to strengthen racist and nationalist identification and by acting as conduits of resistance to mainstream society.